Looking back over the last 25+ years, my journey probably started when I was very young. I am the youngest of 10 children and grew up on wonderful Eastern European foods like pierogies, nut rolls and every baked good my Slovak Mum could make. It’s easy to look back and see all the problems I had growing up with learning, attention and behavior, but back in the 80’s no one thought to look at all my problems as a whole. I was always a mediocre student who got by on a very BIG personality. My humor was my crutch. I knew I wasn’t stupid, but I couldn’t figure out why it would take me twice as long to read as the other kids. Or why I couldn’t grasp concepts in math or science. I could learn from someone telling me or through song, but I couldn’t open a book and comprehend concepts on my own. It was when I was about 14 years old that I was told that I had an “auto-immune” problem, but that was all I (or my parents) knew. After that first sigmoidoscopy, the doctor explained to me that I had Irritable Bowel Syndrome (IBS) and that I would “eventually get colitis and perhaps colon cancer.” Nice thing to try to explain to a 14-year-old. I spent the next 6 years hiding symptoms from my mom or refusing to see doctors for fear of the embarrassment of the procedure preps and the mention of colonoscopy. Every major life event from the time I turned 20 until I had my daughter at 36 (college, jobs, marriage, death of my dad, infertility, pregnancy) resulted in a weakened immune system and subsequently I would have a colonoscopy to determine if the IBS had gotten worse or turned into colitis. When I had my son at 34 I started to get migraines, in the form of flashing aura’s. 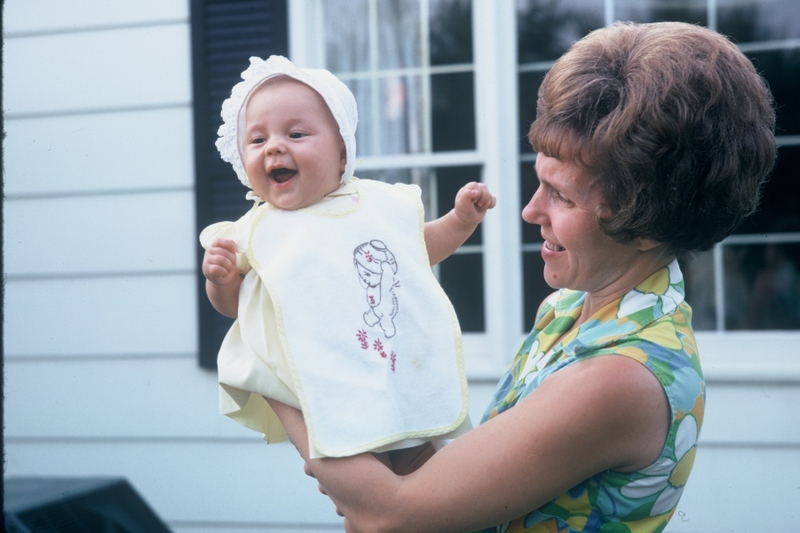 After my daughter, they got worse and I eventually contacted a neurologist to rule out any brain defects. All tests (CAT Scans, thyroid tests, etc.) all came back normal. He suggested that I try taking Riboflavin as a last resort. He didn’t know why it worked for some people, but I didn’t want to go on prescription medicine, so this was my last resort. Thankfully it cut the number of migraines to one to two a month. Right before my 40th birthday EVERYTHING fell apart. Depression set in. It was suggested by my OBGYN that I go on birth control pills to help with my remaining migraines. My general physician suggested I go on depression medicine to help me even out my mood. Finally my sister Sue stepped in. From California she found me natural practitioner who was familiar with an Independent Query System (IQS) called BioSet. My practitioner was able to diagnose me with non-celiac gluten intolerance and a severe vitamin B deficiency. Before I went on any vitamin supplements, I decided to consult an M.D. as a back-up. She did a blood test that confirmed everything that was found through the BioSet system. I cried a river of tears with joy that I finally had a diagnoses for the way I felt. It took me 7 days to detox off gluten, but once I got over the cravings, I immediately noticed that could breath out of the right side of my nose. I’ll bet I hadn’t done that my entire life. The first 6 months were up and down. I would go on and off gluten. I would feel sick and then feel good each time I got on and off it. The seventh month I made the full commitment to stay gluten-free. It’s been a year and a half and I know now that it’s something I have to do for the rest of my life. And I’m ok with that. I’ve come to the realization that it’s NOT elimination, it’s all about substitution. So, here is where the journey continues. 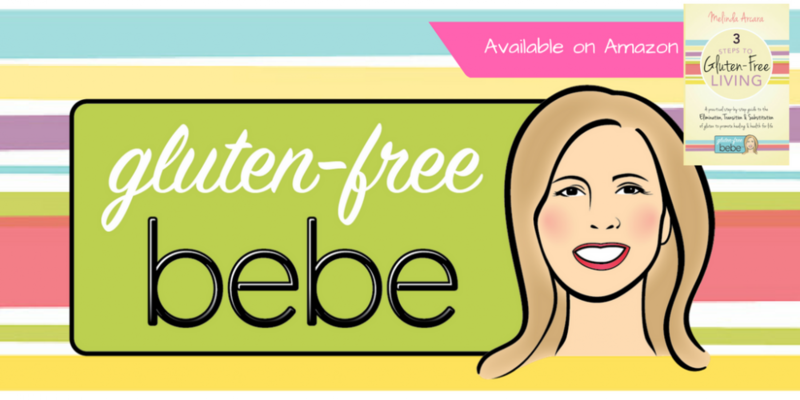 This Blog is not only my therapy, but I’m so excited to share all my experiences, recipes and journey through my gluten-free life. Thanks for following me! This entry was posted in Uncategorized by Gluten-Free Bebe. Bookmark the permalink.